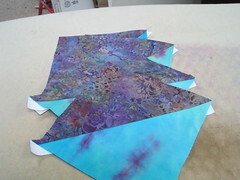 Thangles are here! 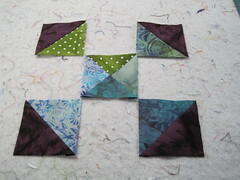 And Buck-a-block is too! 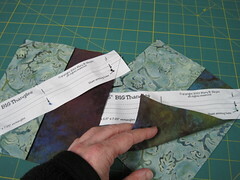 Okay, fabric wranglers, we’ve finally got all of the Thangles triangle paper sizes in for your piecing convenience. 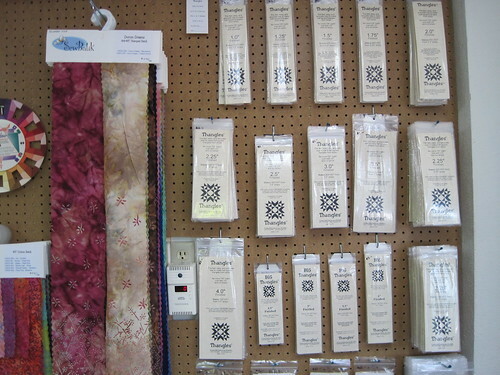 There’s a new pegboard wall in my studio with Thangles and patterns as well as fabrics from Sew Batik and Kona Bay. 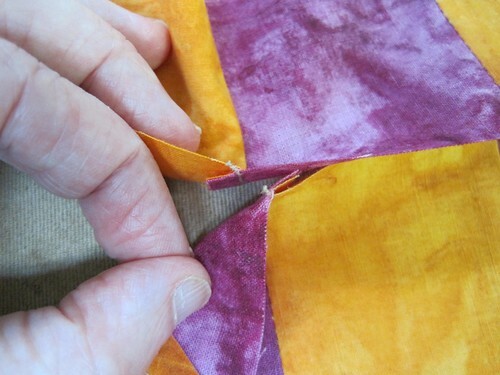 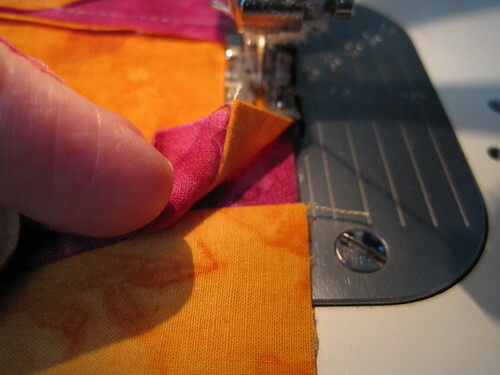 You can find a video at the Thangles home page that shows you how to sew with them, and how to press and trim them afterwards. 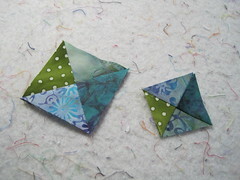 Plus there are some great pre-packaged patterns that I’m also carrying, that contain the triangle paper and the pattern, that are featured on the site. 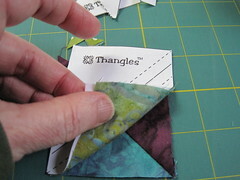 Thangles also produces a block of the month program that their shops can host, so I picked that up as well. 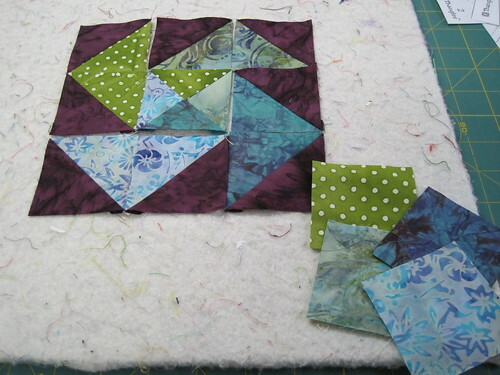 It’s called the ‘buck-a-block’ because the customers get the fabric and pattern for each of the 12 blocks for a dollar each (plus sales tax). 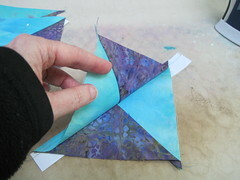 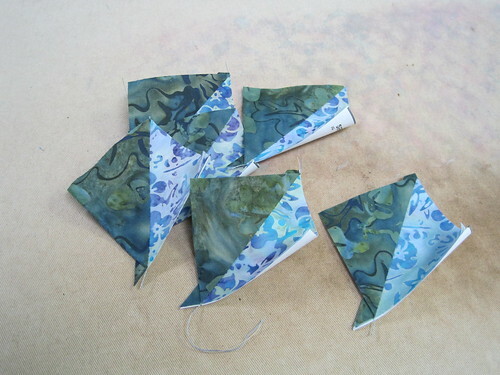 Not much of a money maker for me, but a great opportunity for my clients to play with the Thangles paper and see how they like sewing with it. 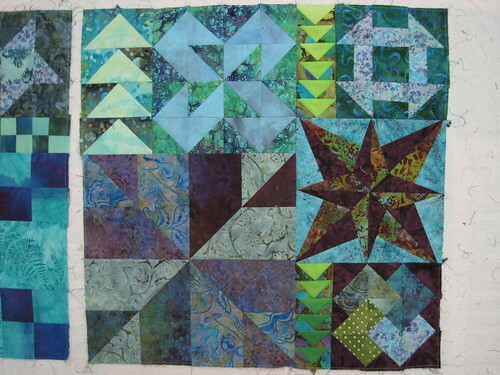 And if you have fun with the paper, then you might sew patchwork more, and there might be more finished quilt tops in the universe! 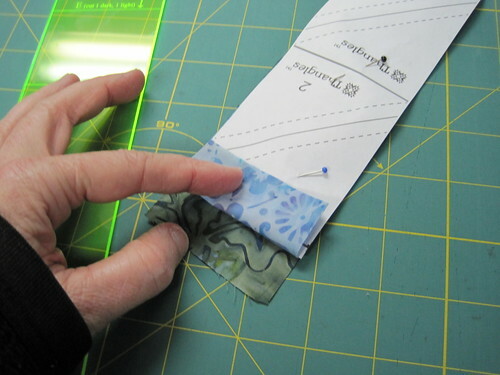 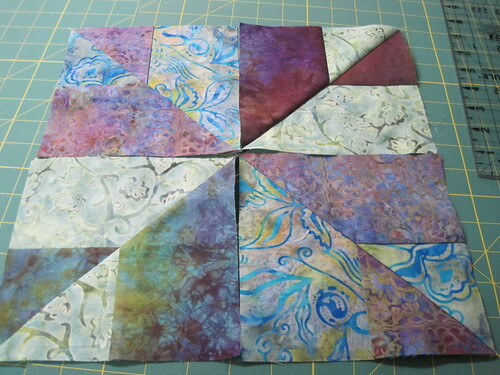 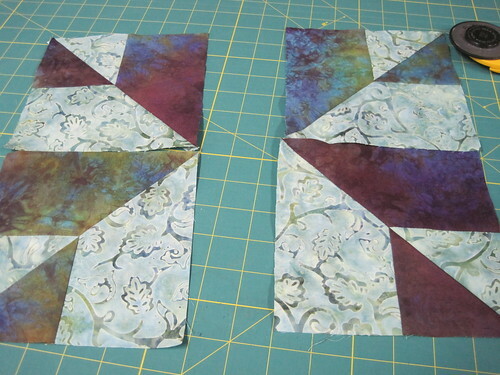 All good things for a longarm quilter. 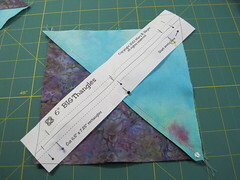 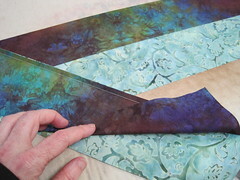 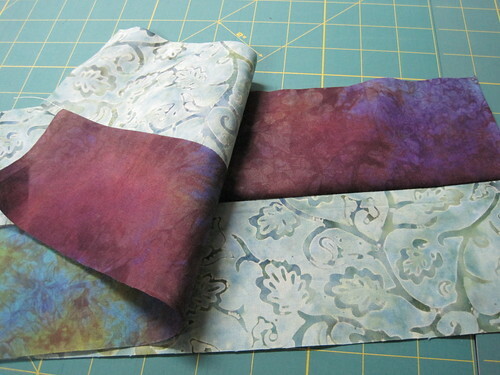 If you want to see more, here’s a link my Thangles photo album on flickr, including some pics of sewing with Thangles. 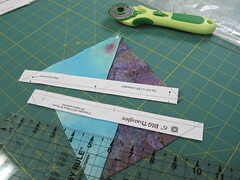 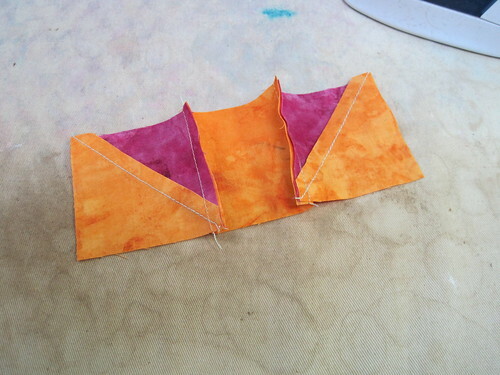 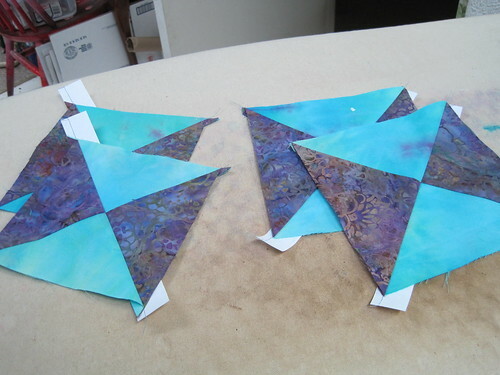 I wouldn’t want to sew triangles without them! 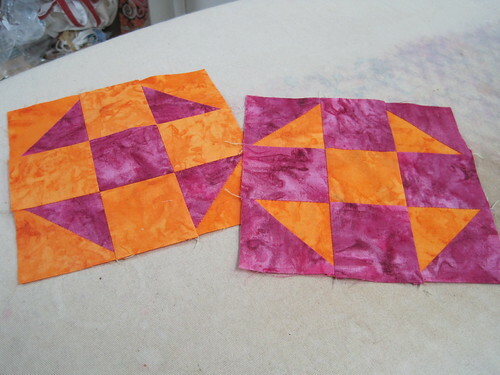 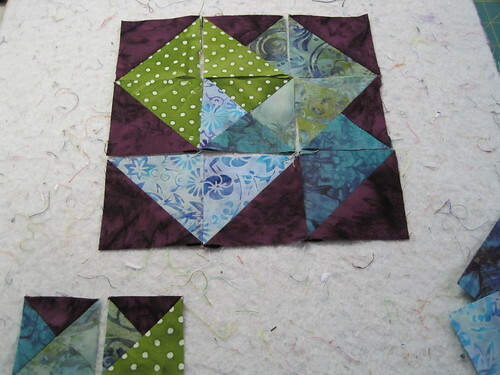 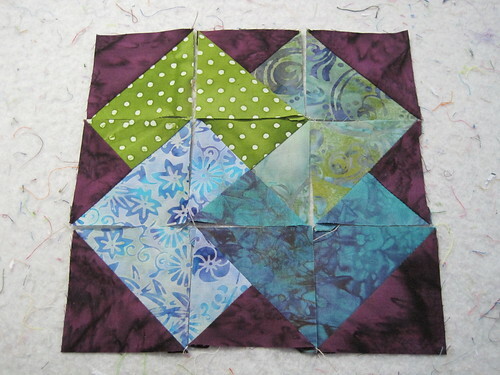 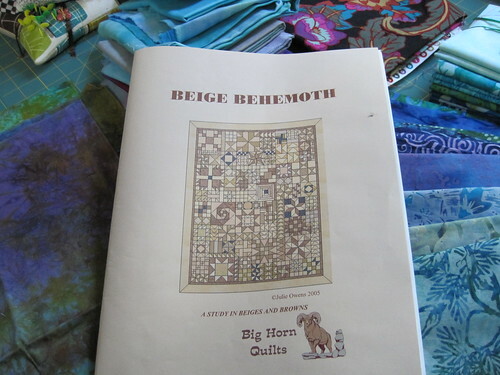 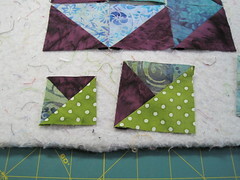 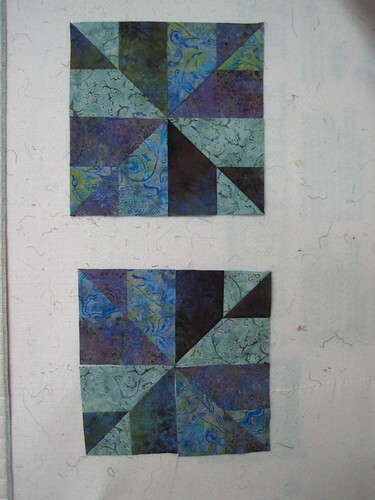 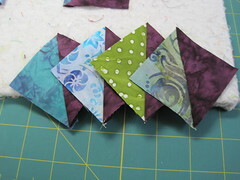 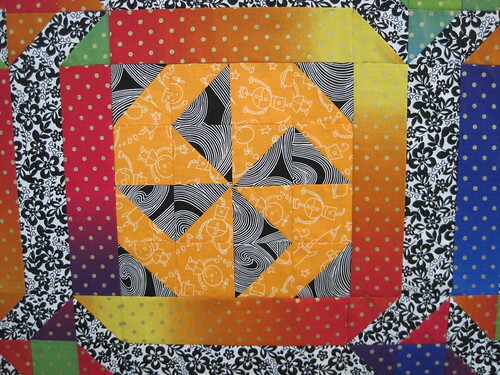 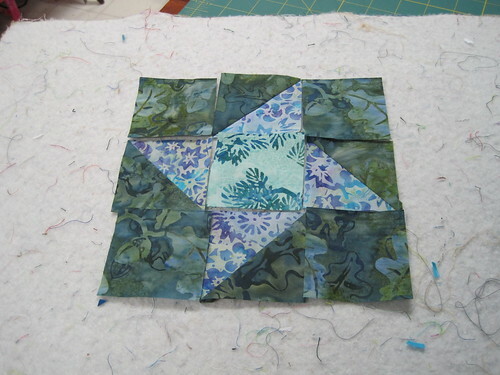 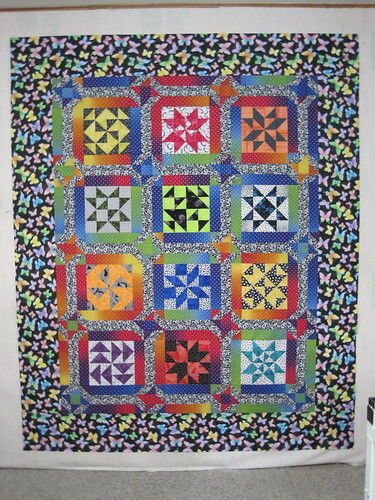 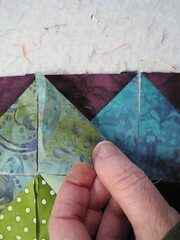 Interested in Thangles patterns or the Buck-a-block quilt? 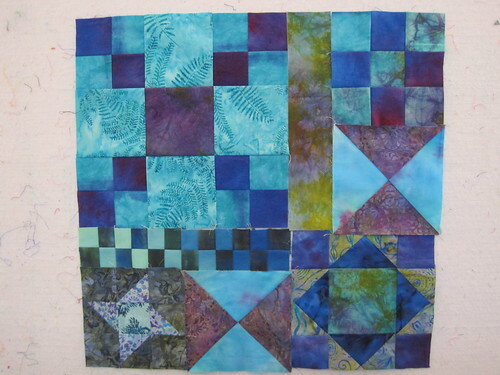 There’s still time to jump in. 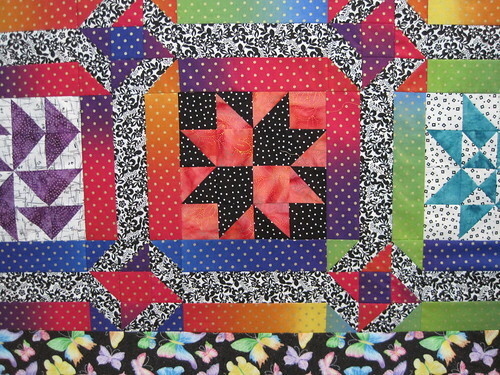 Just e-mail me and I’ll send you the details.